Imran Khan's decision to open crucial pilgrimage routes for Sikh and Hindu pilgrims from India to Pakistan must be appreciated, particularly in times of crises. Pakistan’s Prime Minister Imran Khan’s problems seem to be never ending. The major challenge for Khan at the moment is the country’s dire economic situation. Commenting on the state of the economy, the country’s Finance Minister, Asad Umar, tried to give a more optimistic picture. ‘The crisis phase for the economy is over, however, we are still in the stabilization phase,’ says Umar. Figures, however, portray a very bleak picture. While according to Central Bank estimates, Pakistan’s Gross Domestic Product (GDP) growth for this year is estimated at between 3.5%-4%, down from 5.8 percent in 2018, inflation is steadily rising. For the month of March, it was estimated at well over 9% (9.4%) – the highest in five years. If one were to look at the sphere of foreign policy, the greatest challenge for Khan, at this point is strains with India. Things went the knotty way after the dastardly Pulwama terror attack by Pakistan-based terror group, Jaish-e-Mohammed, in February 2019 in which 39 Indian paramilitary soldiers, belonging to the Central Reserve Police Force (CRPF), were killed. The Pulwama attack was followed by air strikes by the Indian Air Force (IAF) on camps run by JeM in Balakot, located in Pakistan’s Khyber Pakhtunkwa province. While the extent of the damage caused by these attacks remains a subject of heated debate amongst strategic analysts, most in India have supported the government’s retaliatory move by contending that the strikes called out Pakistan’s nuclear bluff. 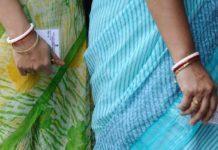 As Indian Prime Minister Narendra Modi goes into poll season, he has expectedly made his “muscular policy” on Pakistan a key electoral issue. On the day of the strikes, Modi addressed a rally with the pictures of the CRPF soldiers killed in Pulwama as backdrop. Only recently, he urged first time voters to vote in the name of the Pulwama martyrs, as well as the Balakot Strikes. Interestingly, however, Khan in an interview to Reuters, made the point that the right-wing BJP, under Modi, maybe in a relatively better position to negotiate a settlement on the Kashmir issue as compared to the Congress Party. Opposition parties in India, who Modi has accused of being soft on Pakistan, were quick to invoke Khan’s statement and sought the reaction of Modi’s loyal supporters who laud the current government’s “tough policy” on Pakistan. Some Indian leaders also said that Khan had no business to interfere in India’s internal politics. Domestically, Khan drew flak from opposition leaders including Senior Pakistan People’s Party PPP leader, Sherry Rehman, who stated that it was incorrect on Khan’s part to comment on India’s domestic politics. While Khan may have made numerous mistakes in his tenure and some of his views on economic issues may have been a tad simplistic, so far, he has been risk-averse in taking on the Pakistani deep state wherever necessary. He does deserve credit for making concerted efforts towards boosting people-to-people contact between India and Pakistan, especially through religious tourism. His government’s stand on granting visas to Sikh and Hindu pilgrims and positive approach towards renovation and upkeep of Sikh and Hindu religious shrines is praiseworthy. This will not just give a boost to the Pakistani economy, but also help the country promote a more moderate image globally. Such secular government policy could also blunt the right-wing narratives in both countries. 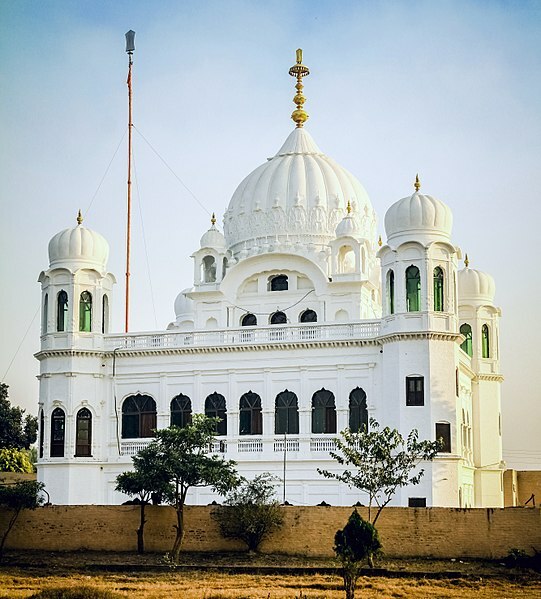 The Kartarpur Religious Corridor is poised to facilitate a visa-free pilgrimage for Sikhs to Darbar Sahib, which falls in the town of Kartarpur in District Narowal (now in Pakistan). Kartarpur has special significance because Guru Nanak Dev, the founder of the Sikh faith, spent the last two decades of his life along with his followers there. Guru Nanak also breathed his last at Kartarpur. Pakistan has also been open to the Sharda Peeth religious corridor, which will enable Hindu pilgrims from India to pay obeisance at the religious shrine in Pakistan Occupied Kashmir. More recently, it issued two thousands visas to Sikh pilgrims on the festival of Baisakhi, during which Sikhs paid obeisance at religious shrines such as Nankana Saheb, Punja Saheb and Kartarpur Sahib . Apart from this, Pakistan has also decided to hand over 400 Hindu temples to the Hindu community for renovation. At the time of partition, there were over 428 temples. In the 1990s, most of these were encroached upon and converted into restaurants, government offices. 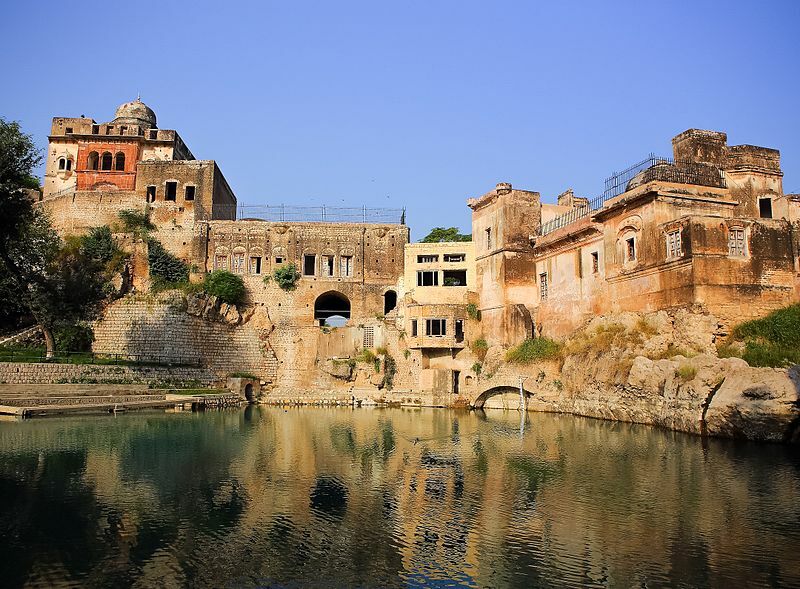 Last December, further, the Imran Khan government issued visas for Hindu pilgrims to pay obeisance at Katas Raj, a multi-temple complex located in the Potohar Plateau region of Pakistan’s Punjab province. Khan’s overtures towards the Sikh community have been viewed with suspicion by Indian politicians, sections of the strategic community, and experienced journalists. They argue that through these recent moves are attempts by the Inter Services Intelligence (ISI) and the Pakistan army to appease hardliners within the Sikh community and thus, revive the separatist militancy in Indian Punjab. 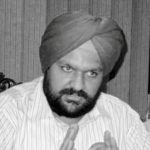 Here is the link to the interview with Captain Amarinder Singh where he explains how the Pak army’s gesture on the Kartarpur Sahib corridor is part of a greater ISI game. Agreed, certain Sikh groups in the diaspora have found common cause with Pakistan’s intelligence agencies and the Pakistan army. Yet, Sikhs from different persuasions have been pitching for not just the Kartarpur Corridor, but smoother religious pilgrimages to other shrines. While it is fair to criticise Imran Khan for toeing the line on a number of key foreign policy issues, it is misleading to dismiss his efforts to promote religious tourism and greater people-to-people links between both countries. Before Imran Khan, it was during the military rule of General Pervez Musharraf (who was ironically the architect of Kargil) that efforts towards promotion of religious tourism and greater people-to-people contact between India and Pakistan were made. Further, both former Prime Minister, Nawaz Sharif, and former President, Asif Ali Zardari, have unequivocally spoken in favour of bilateral trade and people-to-people contacts. Sharif had even recommended that Pakistan should provide visa-on-arrival to Indians. Zardari had spoken about moving ahead on trade and in favour of the China model of engagement. It was during Musharraf’s tenure, that efforts were made for the upkeep of Sikh and Hindu shrines, and a number of initiatives for promoting connectivity between both countries were begun. The Srinagar-Muzaffarabad and Amritsar-Nankana Sahib bus services are cases-in-point. The rail service connecting Munabao-Khokhrapar, which played a key role in connecting divided families from Rajasthan and Sindh, was also revived after a period of four decades. New Delhi’s skepticism on the role of Pakistan’s deep state is understandable, and until Pakistan takes credible action against terror groups, significant progress in bilateral ties will not be possible, irrespective of the political party at the helm. Islamabad needs to live up to its commitment made during the Islamabad Declaration of 2004, and adopt a tough line against terror groups targeting India. Pakistan needs to take concrete action against terror organisations responsible for attacks on Indian soil. For this, Khan will need to be bold and take on the Pakistan army. It is also important, however, to bear in mind that identities in India and Pakistan have hardened over the past seven decades, and both sides have been unwilling to explore the role of soft power in reducing tensions. Large sections of the strategic community are either dismissive of, or still worse, suspicious of people-to-people to linkages. Yet, it is important for the civil societies in India and Pakistan to not give up. 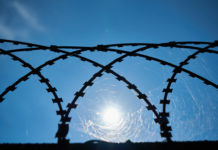 While contentious issues cannot be swept under the carpet, to assume that greater interactions between the two peoples and connectivity will have no impact in influencing mindsets is flawed. Not only will religious tourism result in more interactions between citizens of both countries, it will also increase awareness with regard to religious shrines of non-Muslims, which have been in shambles for very long. Ultimately, it is faith that our strategists need to have faith on. Tridivesh Singh Maini is a New Delhi-based policy analyst currently associated with the Jindal School of International Affairs, OP Jindal Global University, Sonepat. Read his articles on Eleventh Column here. Tridivesh tweets @tridiveshsingh. 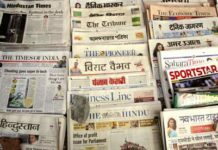 Next articleA Crumbling Pillar: How Will India Deal With Its Plummeting Media Standards?